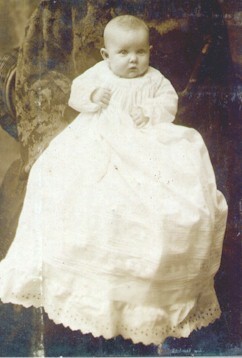 Francis and Sarah Dorris, along with their children William, Maggie and Eva, were among the very early Bronaugh families. They were well known as sources for early Bronaugh History since they ran the Bronaugh Journal for so long. 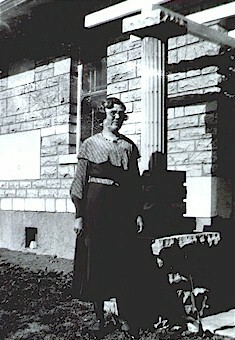 They were also most active in the Methodist Church. None of the children ever married. 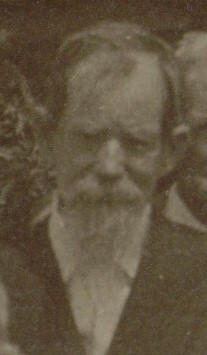 Left: Francis Dorris from a Bronaugh Methodist Church photo. 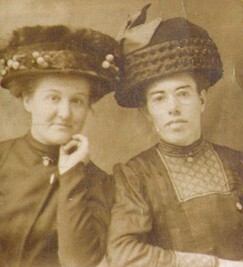 left: Sarah and Eva Dorris from a very badly damaged photo. This is as much as we can improve it. 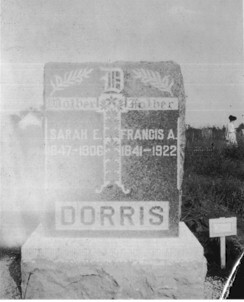 right: Worsley Cemetery graves of Sarah and Francis Dorris. 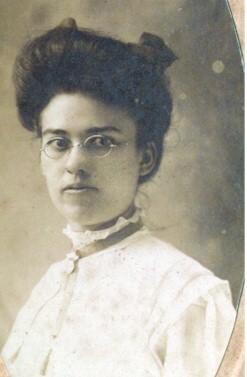 Sarah died in 1906 and Francis in 1922. 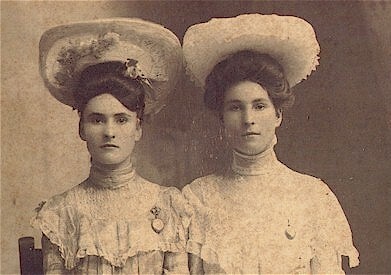 Left: Miss Eva Dorris on right. Her friend is unidentified. 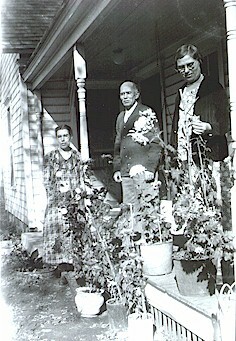 Right: Eva, William and Maggie on their front porch. 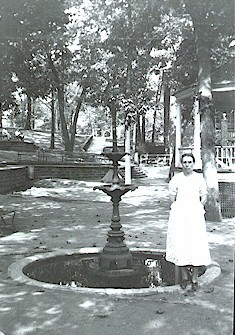 Left: Maggie standing by the Hawkins house in Bronaugh. Right: To Maggie and Eva, from a friend in Pittsburg. 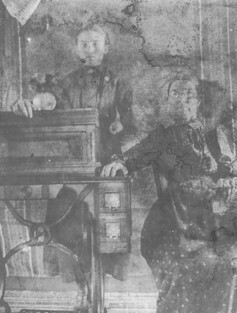 Right: Annette Dorris. Taken in Joplin. above, Nora and Cora. 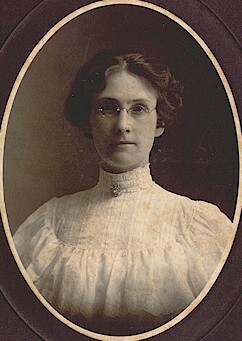 Last name unknown. Cousins of Maggie and Eva Dorris. 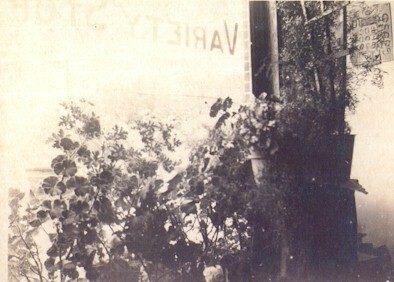 An interesting interior shot taken from inside the front window of the Dorris Variety Store on Main Street in Bronaugh (read the window backwards). Maggie kept her plants there. 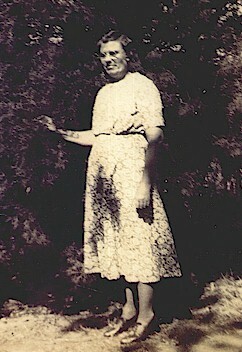 These photos are from the Haverstic Collection. If you have Dorris information to share or questions please let us know.